Based on actual events, True Story follows an ambitious and successful writer of the New York Times, Michael Finkel (Jonah Hill). Having been fired when it is revealed one of his articles is a fabrication, Mike comes to meet a man accused of murdering his family, claiming to be Finkel upon on his arrest. 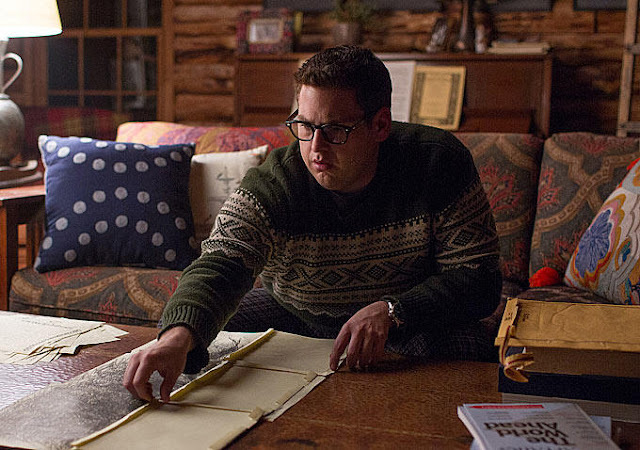 Taking a further step away from comedic roles is Jonah Hill as Michael Finkel, a now disgraced journalist. 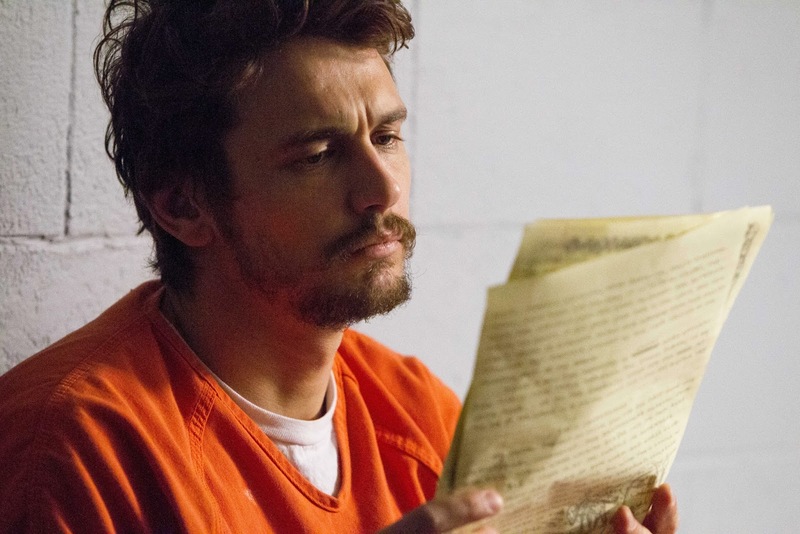 At the lowest point in his life, Michael receives a call from a reporter in regards to Christian Longo (James Franco) who, upon his arrested for murdering his wife and kids, claimed to be Michael Finkel of the New York Times. 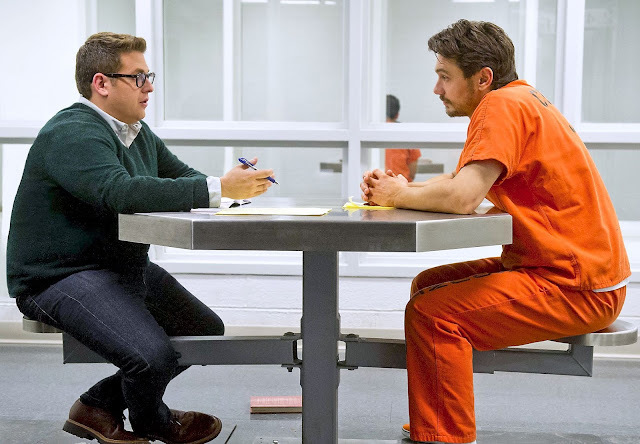 Oblivious to the news story and believing this to be a second chance for his career, Michael investigates the case and soon strikes up a bizarre relationship with the accused. True Story wastes no time in establishing its premise. It opens to a rather disturbing image of a teddy bear dropping in to a suitcase containing an out-of-focus dead child before cutting to Michael interviewing a group of boys in Togo. It is soon revealed that this was the interview for an article that would end his career. This is immediately followed by Christian's arrest in Mexico as if to juxtaposition the exact moments that both lives come to a screeching halt. Despite having entirely different up-bringings, educations and lives, there are attempts to draw comparisons between the two men as their relationship develops. Chris promises exclusive access to his story if Mike promises to teach him how to write like a "real journalist". Mike agrees, however, it soon becomes apparent that neither can trust one another when it appears Chris has not been telling the whole truth. Is Chris telling the truth or is he a cunning manipulator? 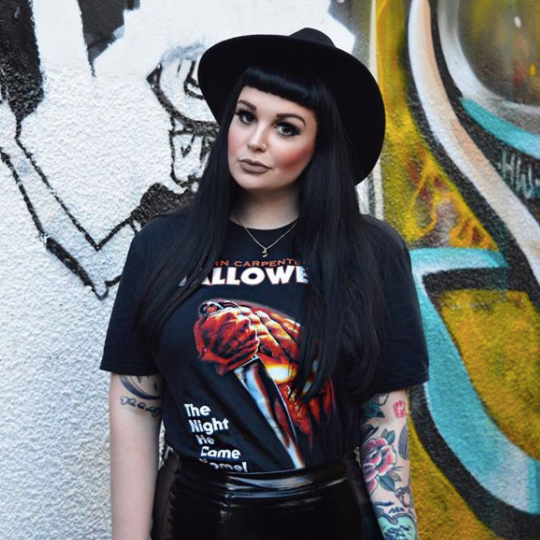 Is Mike using Chris' story for his own gain? This doubt and constant uncertainty is what truly drives the film's narrative and pace which makes it successful. Capote (Bennett Miller, 2005) comes to mind throughout the film and it can be argued that it is striving for the same Oscar recognition. Filled with intimate shots, soft lighting, three previously Oscar nominated actors, on paper it should tick all the boxes yet in some ways it falls a little short. In some areas it felt as though the film lacks momentum and is somewhat anti-climatic as the court date looms. The title is enjoyable none-the-less and this is more than compensated for, however, by the This Is The End (Goldberg and Rogan) co-stars, Hill and Franco who more than prove their versatility as actors as they deliver superb performances. 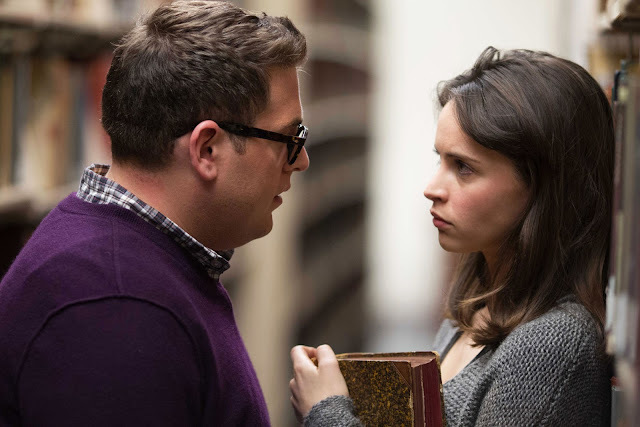 Felicity Jones stars also as Michael's wife, Jill. As spectators, we are lured in to a sub-plot and their relationship is tested when Mike's time is occupied by his career; his visits to Chris and writing his book. Though some scenes of an isolated Jill are shown (a juxtaposition of Mike's typing against Jill's piano playing) to enforce this idea of a delicate marriage, this aspect of the narrative goes somewhat to waste and is never truly explored to it's full potential. Though an arguably anti-climatic conclusion (sometimes unavoidable in a biopic), True Story contains some outstanding performances and maintains a suspenseful, sometimes harrowing narrative through-out. Though it is uncertain if this one will make an appearance at the Oscars, it is certainly one of the top titles of the year so far. True Story gets a Sophie star rating of 4 out of 5 stars. I love you both dearly, Jonah Hill and James Franco. Even more so together. Have you seen True Story? 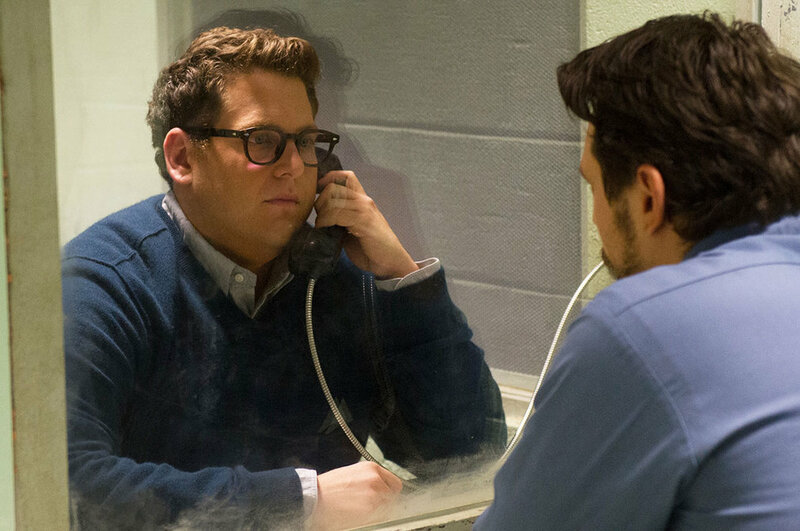 What do you think of this reunion of Jonah Hill and James Franco? You can watch the trailer for it here and leave me know your thoughts below! I did a bit of a marathon a few weekends back, seeing this and then immediately seeing Ant-Man (read my review of it here) in the next screen and I'm so glad I did. I haven't done a back-to-back in a long time but it's always good to kill two birds with one stone. OMG These guys love them!! Definitely checking out this movie! Brilliant review! I really want to see this film I think the story looks interesting and I love a good juxtaposition. 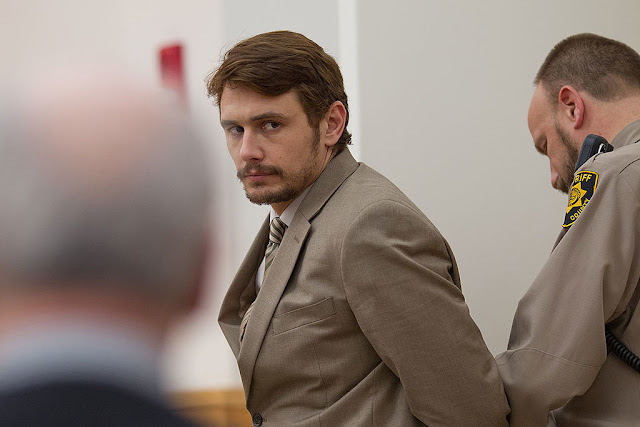 Also I'm very excited to see Franco and Hill in serious, emotional roles. Will definitely be going to see this. I love these actors and it'll be nice to see them in more serious roles. Yeah it's had a limited release over here too. I think I was lucky to check it when I did. Hopefully you get to watch it. I'm not such a fan of Felicity Jones but she's good in this I think though her role isn't a big one. I hardly saw this advertised in the states. I think I may have missed it now but I really want to see it. I really rate James Franco and Jonah Hill. Thanks for sharing your review!